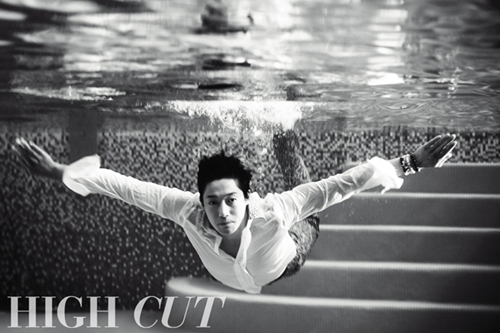 Look how handsome Hyun Joong! Wet look but still looking gorgeous! ♥ I want that magazine so badly! >.< Someone teleport me to Korea!! 김현중 진짜 멋있다!! !